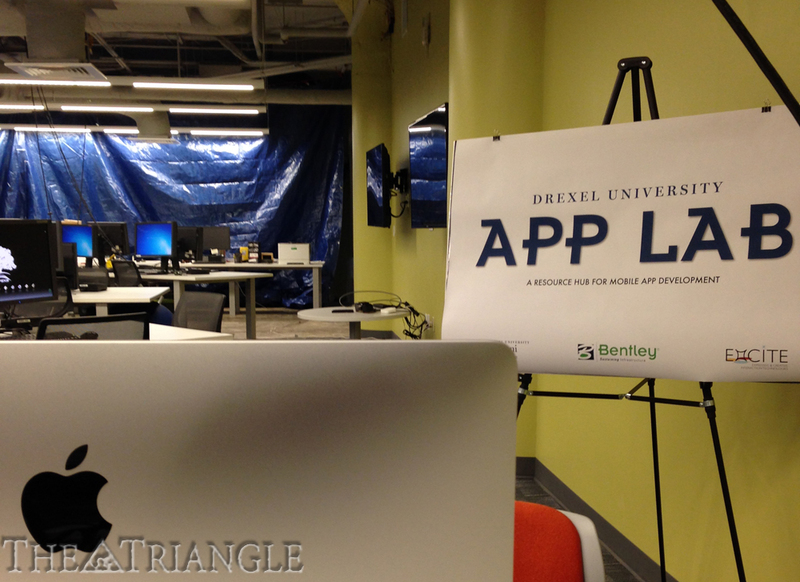 This winter term, Drexel University established the Application Development Laboratory with generous support from Bentley Systems Inc. The APP Lab will be a dedicated space for students across all majors to collaborate on creating mobile applications. 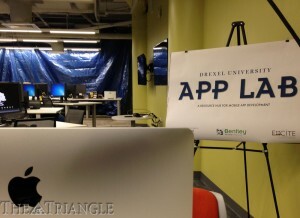 The APP Lab, located in the Expressive and Creative Interaction Technologies Center at 3401 Market St., is a collaboration between the ExCITe Center, the Pennoni Honors College and Bentley Systems, who have mutual interest in enabling students to pursue a path in app development and witness the future of software development in regard to mobile apps. Youngmoo Kim, director of the ExCITe Center and an associate professor in the College of Engineering, is in charge of administering the APP Lab. According to the Jan. 7 DrexelNow press release, the APP Lab’s mission aligns with the Pennoni Honors College’s, which is to offer educational opportunities that go beyond the classroom and to promote interdisciplinary collaboration among its students. Kim emphasized that unlike providing a service that creates an app for a customer, this is for students who are interested in the discipline. The APP Lab provides tutorials, consulting, workshops and a community space for students who think alike to gather, collaborate and learn from each other. Kyle Levin, an electrical engineering sophomore who has previous experience in application development, is spending his co-op working in the APP Lab. Levin’s tasks are to make educational resources and work as a peer tutor. He also encourages students to come and use him as a resource. “Our goal is to take anybody who has an idea but not knowledge and give them that knowledge. So if you have an idea for an app, even if you have never programmed before in your life, you’re not an engineering student, you don’t know how any coding works, you can come and we can [point] you in the right directions, give you some one-on-one help if you need it,” Levin said. According to Kim, the lab targets different levels of users with suitable assistance tools. For students who have no prior developing or programming experience, a series of screencasts and online tutorials have been made available to provide an introduction to app development. In addition, the APP Lab provides consulting hours with peer tutors for students to get hands-on experience and seek help. “We’re not trying to teach you everything; we’re just trying to teach you some basics so you can get going with something early on,” Kim said. Matthew Prockup, a doctoral candidate for electrical engineering and the APP Lab manager, shared some of his struggles in creating an application in his junior year of college. “I learned mostly through painstakingly crawling the Web for simple tutorials or looking through [online] help documents,” Prockup said. Prockup said doing this did not teach him thoroughly to understand the concepts as much. Thus, Prockup highlighted that the APP Lab assistance would make the process of learning a little bit easier. The APP Lab is not restricted to engineering and computer science majors; it is open to students from all majors. Those who do not have prior programming experience but really want to learn are also encouraged to get involved. “I think that no matter what your field is, the better informed you are about technology and certainly technological trends, the better it can only be to your benefit,” Kim said. “We encourage everybody to come check it out.” Kim and the APP Lab staff try to maintain a collection of campuswide resources in the field, which can include suggestions of courses that students can take or a list of ongoing projects with which they can get involved. Students are also encouraged to submit their own ideas and recruit team members from the lab. In the long run, Kim views the potential growth of the APP Lab as a big student community and hopes to educate, motivate and invigorate more students to get involved. Kim explained that the goal is to take advantage of students’ interest in app development and show them how to execute their ideas. He explained that there is more than one way to participate, including coding and other capabilities such as designing interfaces and graphics. “Do something interesting and rewarding for yourself,” he said. Kim claimed that as of now, the APP Lab is just scratching the surface of what is possible. Giving credit to the generous gift of Bentley Systems and the work of the Pennoni Honors College, he said he believes that this is a prospective way for Drexel to be at the forefront of student innovation. “I think that the more we can explore different pathways for doing that, the more interesting [things] we’ll be able to do,” he said. Bentley Systems Inc. is a software company producing solutions for sustaining infrastructure in the architecture, engineering, construction and operations areas. The APP Lab is open five days a week with flexible hours. Thanks to the involvement of the Pennoni Honors College, the APP Lab will welcome four students in the Students Tackling Advanced Research program every summer. There are also opportunities for honors students to propose ideas and compete against one another. In the future, the APP Lab will host a variety of events, including workshops led by external developers. According to Kim, the staff will put on a showcase to feature students’ products once per year.